The final season for the Rams in St Louis ended with a whimper but did find a future superstar in RB Todd Gurley. With him to build around, the Rams reversed the RGIII trade and traded up to the #1 pick to land Jared Goff. 2016 will be all about his maturation with the hope to actually start contending in 2017. The Rams changed OCs midway through last season, resulting in a much heavy run emphasis (56-44 run to pass ratio) and a 3-1 end to 2015. Look for this trend to continue with a rookie QB to groom and not a lot of great weapons in the passing game. All the buzz will be around 1st overall pick Jared Goff and rightly so. Goff has solid pocket awareness and above average accuracy and arm strength. The big key for the Rams will be to keep his somewhat slight frame upright and not make him win games for them early. In fact, Goff could start the season on the bench behind incumbent Case Keenum. Keenum is a solid bus driver type that could ease the transition to Goff with a tough first 4 games (@SF, Sea, @TB, @Ariz). However, Goff rolling out opening night would not be a surprise (and hopefully not a mistake). Todd Gurley rebounded from a blown out knee his senior year in college to finish 3rd in the league in rushing yards. The only real concern with Gurley is not wearing him out with a full season of carries. Unfortunately the depth behind offers little relief, with Benny Cunningham, Malcolm Brown and rookie Aaron Green from TCU battling for time. Gurley should be a 3 down back and be an absolute fantast stud. This is the year for Tavon Austin to finally be the factor he was expected to be when the Rams traded up into the Top 10 of the draft for him. Likely used at both WR and some RB, Austin must become a consistent target for his QB and have more than 66 yards rec (his high in 2015) to get paid. With him at the WR spot is mercurial Kenny Britt, highly disappointing Brian Quick and rookies Pharoah Cooper and Mike Thomas. Cooper is interesting as his game is very similar to Austin’s, undersized and quick with need for more polish as an actual WR. Add to this TEs Lance Kendricks (better as a blocker than receiver) and rookie Tyler Higbee (terrible blocker but dynamic as stand-up TE if he stays out of trouble and healthy) and the Rams skill positions are questionable at best. On the offensive line the Rams boast a lot of beef but few difference makers. Greg Robinson, the jewel of the RGIII trade, finally started to show some of the promise that made him the 2nd pick overall. However, he is still much better as a run blocker than pass blocker and will need to continue to show improvement. Rob Havenstein on the right side is solid, not allowing a sack in 2015. Inside, Rodger Saffold hopes to stay healthy at LG, Jamon Brown showed himself capable at RG and Tim Barnes was just resigned at C. Overall this group is much like the rest of the Rams team: dependent on a quality run game to make up deficiencies in the passing game. Overall, the Rams will be a tough team to play each week with a powerful running game led by Gurley. If Goff develops quickly during the season, this team will get tougher each and every week. If not, they may wear out their superstar and damage the psyche of the future star. The Rams have a ton of talent on the defensive side of the ball that only shows up in flashes during the season. Bountygate villain Gregg Williams calls an aggressive gameplan and regularly takes risks on blitzes. With some attrition via free agency this past year, the Rams are asking for answers from some new members in new places. How that works out could make or break the Rams in 2016. Last year the Rams front four boasted four 1st round picks. But gone is Chris Long, replaced by William Hayes (and that might be an upgrade). Opposite him is the quick Robert Quinn who battled injuries in 2015. Behind them is Jets first round bust Quinton Coples and Eugene Sims who should both see time in rotation. The beast of this group is DT Aaron Donald with 11 sacks last year. Alongside him is run stuffer Michael Brockers and Patriot castoff Dominique Easley. If Easley can regain his health and speed, the Rams might have the toughest DT duo in football. The LB group is perhaps the most fascinating on the team. Gone is longtime stalwart James Laurinitis, replaced in the middle by the athletic Alec Ogletree. How Ogletree adjusts to making the play calls and leading the defense will be something to watch. With him is strongside backer and blitz specialist Akeem Ayers and converted safety Mark Barron. Barron finished 2015 at weakside LB and will get the chance to continue there is 2016. If he can hold up physically, this will be a very fast group of linebackers. If not, look for rookie (and also hybrid safety) Josh Forrest of Kentucky to get a shot. If problems arise in 2016 for the Rams, it might be in the secondary. Gone is #1 CB Janoris Jenkins to NYG, leaving franchise-tagged Trumaine Johnson as the man. Opposite him will be a battle including EJ Gaines, Lamarcus Joyner and FA Coty Sensabaugh. Safety might be in even worse shape with the departure of Rodney McCleod to the Eagles. TJ McDonald is at 1 safety and the other is either Cody Davis or Maurice Alexander (for now). Overall on defense, the Rams have a solid front 7 and a weakened secondary. In order for their run first approach on offense to work, they will need to limit teams with their pass rush and hope to not fall behind on big plays. That will be difficult. Despite perhaps finally finding a quality starter at the QB spot, 2016 is going to be another building year for the Rams. Perhaps the new weather in LA will help, but more likely the holes on this roster will cause a slight regression. However they will be a tough team to play and a fun team to watch each and every week for their new California fan base. The 2015 season for the 49ers ended before it began with a rash of retirements and the departure of Jim Harbaugh. Into that breach stepped sacrificial lamb HC Jim Tomsula. A change in QB from Kaepernick to Gabbert, a 31st ranked offense and 29th ranked defense all added up to a organizational change. And that change is known as Chip Kelly. Unlike the last time Chip Kelly rolled into an organization, the Niners refrained from spending wildly in free agency. As a result, the 49ers have the most cap space still available in the league. It seems as though this season will be a discovery process for the roster and next season will likely be the big free agency bonanza. Perhaps the biggest reason for the addition of Chip Kelly is to find an answer at the QB spot. That answer could come in a couple of ways. First on that list is the resurrection of Colin Kaepernick. After a promising start to his career and then a big payday, Kaepernick regressed mightily over the past 2 years with off-field questions, trade rumors and a benching. However, Kaepernick should be an ideal fit in the Chip Kelly system with his athleticism and arm strength. But his career is at a crossroads that is entirely up to him. The 2nd answer to the QB question might come is the former 1st rounder Blaine Gabbert. Cast off from Jacksonville, Gabbert looked ok in his time in SF and earned the starting nod by the end of the year. Gabbert also could be a solid fit in Kelly’s scheme as he played a very similar system in college at Mizzou and will likely get the first chance to start in 2016. Young players Thad Lewis and rookie Jeff Driskel will compete for the 3rd spot and also fit the Kelly mold. No matter what the final record in 2016, if they can find a solid QB for the future the season should be deemed a success. The run game perhaps suffered the most in 2015, dropping from 4th overall to 21st. After a fast start, Carlos Hyde went down in October with a foot injury but should be back healthy in 2016. Behind him is 2nd year RB Mike Davis and rookie Kelvin Taylor out of Florida. Given that Hyde came from that spread system in college at Ohio State, Hyde could be a quality fantasy player by putting up consistent numbers. The skill positions are not as set or as deep as the backs. Torrey Smith is the #1 WR for SF but the other spots are an open competition. Quinton Patton and Bruce Ellington will likely win the 2nd and 3rd WR spots respectively, with Ellington having a real chance to be a break out player with his speed. Also expect to see a lot of 2 TE sets in the Chip Kelly spread with Vance McDonald and Garrett Celek both getting time and maybe even former OU QB Blake Bell developing. Up front the Niners once vaunted OL has been slowly degraded. Joe Staley still mans the LT spot and Anthony Davis, just reinstated by the league, will compete for the RT spot with underwhelming incumbent Erik Pears. Inside Alex Boone got big money to leave for Minnesota and is replaced by journeyman Zane Beadles. First round pick Josh Garnett should start at the other guard spot and Daniel Kilgore returns at C. Though not a top tier OL, it is still the best line Chip Kelly has fielded in the NFL and might do well in his run heavy system. Overall, the offense of the 49ers should be much better in 2016 because Chip Kelly has had success on that side of the ball consistently. With mobility at QB, a bellcow back that fits the scheme, speed for days at WR and a solid OL, the Niners might be better than many expect. The Niners will keep their 3-4 scheme under Chip Kelly and new HC Jim O’Neill. O’Neill is from the Rex Ryan coaching tree and brings that attacking style defense with him to the West Coast. The Niners have spent their last 2 first round picks on the DE position in a couple of Oregon Ducks Arik Armstead and DeForest Buckner. Unfortunately, NT Ian Williams is out for the season so the strength of the line could be tested. Losing both captain Patrick Willis and youngster Chris Borland rally hurt in 2015 and still hurts in 2016. Navarro Bowman continues to lead this unit, though he hasn’t really been the same since his awful knee injury 2 years ago. Alongside him inside is a collection of average guys including Gerald Hodges and Shayne Skov. Outside dynamic pass rusher (and dynamic knucklehead) Aaron Lynch is suspended the first 4 games, leaving Eli Harold or maybe Tank Carradine to fill in. The other side features elder statesman Ahmad Brooks meaning the Niners are going to need to be very creative in their blitz packages to get consistent pressure on the QB. The secondary is also pretty underwhelming. Tramaine Brock and Jimmie Ward start at the CB spot with Dontae Johnson or Chris Davis manning the nickel. Given the need for blitzing these corners might be hung out to dry a lot and that probably isn’t a good idea. At safety the just ok Eric Reid is flanked by veteran Antoine Bethea but both could get pushed by 2nd year Jaquiski Tartt. Overall on defense, the Niners could really struggle. 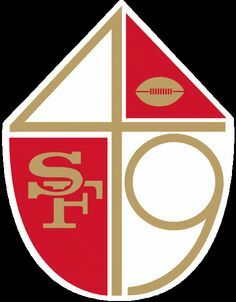 Short of Jim O’Neill pulling some schematic miracles, the 49ers defense will likely be in the bottom 3rd of the league again in 2016. It seems as though Chip Kelly is easing into his 2nd stint in the NFL rather than the mass changes he brought with him into Philly. As a result, year 1 could be a tough ride and will likely result in a top 5 pick in next year’s draft. However, the offense should be fun to watch and they will be a tough team to face most weeks. The Super Bowl Champs had a magical run in 2015. Fueled by a relentless defense led by newly paid Von Miller and an offense tailored to an aging and physically limited Peyton Manning. But as with almost champions, the following offseason is full of attrition and change. Gone is Manning and his backup Brock Osweiler along with several other key free agents. In their place, HC Gary Kubiak is finally getting to implement the offense he wants and hopes that it plus a dominant defense can take him back to the mountaintop. The offense the Broncos ran in 2015 will look much different in 2016. With the limitations on Payton’s mobility and arm strength, Kubiak and OC Rick Dennison scrapped a lot of the stretch runs and QB waggles normally seen in the Kubiak zone blocking scheme. With the Super Bowl capital to spend, the Broncos coaching staff will get back to their fundamentals this year. The Broncos made the bold and almost unprecedented decision to let their “franchise QB” walk in Brock Osweiler, mostly because he is a bad fit for the scheme they want to run. In his place, the Broncos will have an open competition between veteran FA Mark Sanchez, developmental prospect Trevor Siemian and 1st round pick Paxton Lynch. Sanchez will likely get the chance to to start at first given his experience, though Siemian could surprise and win the battle in camp with his experience in this system. Lynch should probably red shirt this year as he is so raw, but might see action as the season goes on. This position will likely be the most crucial to the Broncos success in 2016 and is perhaps the shakiest on the roster. With questions at QB, the running game will need to be better in 2016 to help compensate on offense. CJ Anderson and Ronnie Hillman return as the 1-2 punch in the backfield and are supplemented by rookie Devontae Booker out of Utah. Anderson will need to stay healthy and Hillman will need to stop fumbling. Booker is very talented but is still trying to recover from a knee injury in college and his own fumbling questions. If they can get the ball consistently, the receivers group on the Broncos can be a big play force on offense. Starters Demaryius Thomas and Emmanuel Sanders form the best duo in the division. The 3rd WR spot is up for grabs between Bennie Fowler, Cody Latimer and many others. At tight end, Owen Daniels will be replaced by Texans FA Garrett Graham and 2015 draft choice Jeff Heuerman. Both should see quite a bit of time this year. The offensive line saw quite a bit of change in the offseason. G Louis Vasquez and OT Ryan Clady are gone, replaced by FA Russell Okung and a camp battle including draftee Connor McGovern. At RT, Donald Stephenson was signed from KC. Fully adapting to the zone blocking scheme should really help this unit if they can stay healthy. Overall the Broncos have a very talented roster on offense but will need to find the right signal caller to make it all work. If they do, they should expect to be playing in the postseason. If not it could be a disappointing title defense. Even if you aren't a Broncos fan, it was pretty cool to Wade Phillips, the son of Bum Phillips, finally get to hoist the Super Bowl trophy. And his defense was the primary reason. But a few key pieces are gone so he will have to answer a few questions to get his crew back to the same level. Malik Jackson got a truckload of money to take his talents to Jacksonville. His replacements are Jared Crick from Houston and rookie Adam Gostis. While this group is likely to be a bit lesser than last year, it still should be plenty good. Of interest is to see if Browns castoff and former 1st rounder Phil Taylor can make the Broncos final roster. SB MVP Von Miller got paid and is now the highest paid defensive player in football. And that money is well deserved and will hopefully continue to be. On the other side, DeMarcus Ware is starting to show signs of age with a bad back coming into the season but is backed up by Shane Ray so the pass rush should be great. Inside is a different story. Danny Trevathan left via free agency, leaving only Brandon Marshall and a question mark behind. If the run defense for the Broncos suffers in 2016, it will probably have a lot to do with this position. The Broncos secondary should be the real strength of the defense in 2016, losing only 1 starter in free agency. Chris Harris Jr, Aqib Talib and Bradley Roby make up one of the best CB depth charts in the league. Staying healthy and hungry is the only real question there. At safety, TJ Ward is locked at one spot and the other is between the serviceable Darian Stewart from Baltimore and rookie Justin Simmons. Overall, the Broncos defense is likely the best in the division. But how much they have to compensate for a struggling offense and the attrition that might cause is the big question. Super Bowl hangover and free agent losses will add up to around a .500 record. All 3 QBs on the roster will likely get starts in an effort to solve that issue and that could make the losses add up against a 1st place schedule and a tough division. What an amazing run the 2015 Kansas City Chiefs went on. After starting 1-5 and losing their identity on offense in Jamal Charles, the Chiefs won 11 straight games until finally falling to New England on the road in the 2nd round of the playoffs. Few people predicted a run like that from that team. But now expectations are running high in 2016. The departure of OC Doug Pederson to Philly leaves the offense back in the hands of HC Andy Reid. In 2015, the Chiefs were 48-52 run to pass ratio and it will be interesting to see if that continues without Pederson. The Chiefs will look to grind teams down with their running attack and then hit big plays over the top with Maclin or Kelce. It’s a good formula to work from. Leading the way will be QB Alex Smith. While far from dynamic, Smith gets it done with efficiency and accuracy. 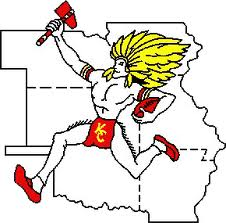 As long as he is not asked to win too many games by himself, the Chiefs have a very competent signal caller. Behind Smith is an interesting battle of young talent including Aaron Murray, Tyler Bray and 5th rounder Kevin Hogan of Stanford. None of these guys are anything more than bus drivers and would be highly unlikely to lead the Chiefs to the promise land. While the QB spot is a bit barren, the RB position is an embarrassment of riches. Jamal Charles returns to his rightful place as starter but backups Charcandrick West and Spencer Ware will see plenty of action as well. Don’t be surprised to see Charles lineup quite a bit in the slot as well in an effort to get all of these weapons on the field. The other reason you could see Charles in the slot is the poor depth at the WR position. Jeremy Maclin is cemented as the #1 target and well worth his paper (though maybe not the 3rd round pick lost as a fine for tampering). Opposite him is an open competition between Albert Wilson, newly signed Rod Streater and speedster Chris Conley. While each adds interesting elements, none are a complete player and probably better served as a 3rd option. Also De’Anthony Thomas could be utilized more on offense but will probably be mostly used in the return game. An interesting darkhorse to this mix is 4th rounder DeMarcus Robinson of Florida. Robinson is like a Maclin clone, with speed and slipperiness in routes. However, his off-the-field concerns may make his potential just that: unrealized talent. The real star in the passing game will be 4th year TE Travis Kelce. With his ability to stretch the field on seam routes, the Chiefs have a Gronk-style weapon for Alex Smith. Look for the spotlight to really be on Kelce this year which may lead to some lesser numbers in fantasy. The O-line really gelled more than expected in 2015. Eric Fisher finally proved adequate at LT spot. With Donald Stephenson departed for division rival Denver, the Chiefs filled that void with the talented Mitchell Schwartz from Cleveland. Inside is a bit more in question. Mitch Morse manned the center position quite well in 2015 but gone are his 2 teammates Ben Grubbs and Jeff Allen. They are replaced by some combination of Laurent Duvernay-Tardif, Jah Reid, Jarrod Pughsley or rookie Parker Ehringer. How this position group comes together might be the key for the entire Chiefs offense in 2016. Overall the Chiefs are a run-first team with a pass-first playcaller in Andy Reid. If Charles can return to form, a 3rd receiving option can emerge to help Maclin and Kelce and the OL sorts itself into a fine unit, the Chiefs could easily equal or even improve on their 2015 numbers. However it will really need its defense to assist in that endeavor. The real hero of last season for the Chiefs was their defense. DC Bob Sutton got this team to absolutely dominate games with an overwhelming pass rush and sticky coverage in the secondary. But 2016 saw the loss of some very key pieces and several others have injury or age questions. The Chiefs will need to find answers to reach that same level of success this season. Up front, the DL was solid with Dontari Poe, Jaye Howard and Allen Bailey. To that mix they add the dynamic yet raw rookie Chris Jones from Mississippi St to add more push in the pass defense. If Jones can add that element the Chiefs could have one of the best lines in football. Twin edge rushers with incredible speed and power seem to be the “in” thing in today’s NFL and the Chiefs boasted 2 of the best in 2015 in Tamba Hali and Justin Houston. However, Hali is beginning to show his age and Houston is still trying to recover from playing on an injured leg in the playoffs last year. His return to health isn’t likely to come until sometime during the season and could be the difference between making and missing the playoffs. Behind these 2 is former 1st rounder Dee Ford who needs to finally live up to his potential. Inside the Chiefs have the ageless wonder of Derrick Johnson alongside Josh Mauga or Ramik Wilson. Though Johnson may be losing a step his role as leader of this defense is vital. The secondary is full of youth and promise but also uncertainty. Marcus Peters was all the Chiefs could want and more as a rookie CB, but now will be asked to be the #1 guy with the loss of Sean Smith to the rival Raiders. Opposite him is an open competition between Phillip Gaines, Steven Nelson and rookies KelVarae Russell and Eric Murray. Safety also has seen some change with franchise-tagged Eric Berry still there opposite either Jamell Fleming or FA Stevie Brown. If Peters can live up to the hype and one of the younger kids can fill the #2 and #3 CB spots, the Chiefs should be just as good as 2015. If not, this weakness could be their undoing. Overall, the Chiefs are not quite as good as their 2015 team but still show great promise. A real dependence on rookies to step in immediately falls on the shoulders of DC Bob Sutton to get them ready. That will ultimately decide how far the Chiefs go in 2016. The Chiefs look like a really good team, but not a great one. Given that, they still may be good enough to compete and win in a down AFC West division. However, the 2016 Chiefs looks like a team in the hunt until week 17 but ultimately not a playoff team. It could easily be argued that the 2015 Chargers were the worst team in football. Yes the Titans and Browns both had more losses, but one was breaking in a new QB who got hurt and the other is hasn’t had a decent QB since the 80’s. The Chargers still have a solid though aging starting QB in Phillip Rivers, but injuries decimated the team around him. For 2016 to be different, the Chargers are going to need a lot of health and good fortune. Between that and yet another season of “relocation talk,” it could be another long year for the Bolts. With the return of Ken Whisenhunt to the OC spot, the Chargers are hoping to recapture some of the magic he and Rivers had a few seasons ago. Look for the offense to spend a lot more time in the no huddle. With the savvy veteran ready to make calls at the line of scrimmage, the offense should be much more dynamic and open better holes in the run game as well with option calls to take advantage of weaknesses. Behind Rivers, long-time backup Kellen Clemens should hold the clipboard all year, but might face a tough training camp challenge from Zach Mettenberger (who Whisenhunt brought back with him from Tennessee). The running back spot was supposed to have been solved with the drafting of Melvin Gordon in the 1st round last year. But Gordon struggled through injuries and seemed to get forgotten at times on offense. While Gordon is unlikely to become the focal point in 2016, he should find a better fit running downhill from singleback sets. Behind him is complimentary back Brandon Oliver and 3rd down specialist Danny Woodhead. Also look for 6th rounder (and brother of JJ Watt) Derek Watt to get some time at FB and as a goalline option. The addition of Travis Benjamin from Cleveland was big this offseason. As an option to stretch the field, Benjamin should nicely compliment #1 WR Keenan Allen, if Allen can just stay healthy. Stevie Johnson is the only other established wideout on the roster and he is starting to lose a step. The Chargers deciding to add another dynamic pass-catching TE in Hunter Henry of Arkansas in the 2nd round of the draft to augment their passing attack. Paired with the ageless Antonio Gates, look for the Chargers to play a lot of 12 personnel (single back, 2 TEs, 2 WRs) that is really more like a 4 WR set. The OL really struggled in 2015 and is surprising mostly in intact this year. King Dunlap at LT was resigned shockingly, as was their best OL in 2015, RT Joseph Barksdale. With heavy investments at both spots and backup Chris Hairston, that left the Chargers out of the market on the top OTs in the draft (Tunsil, Stanley or Conklin). In the middle, Franklin and Fluker return at the guard spots, though the leash is likely short on the disappointing Fluker. At center they drafted outstanding USC Trojan Max Tuerk, but a severe knee injury might result in a red shirt year in 2016. Likely the job will fall to late FA signee Matt Slauson. Overall, the Chargers are really hoping that new OC Ken Whisenhunt can get the most out of this group of highly drafted or highly paid players to reach their potential. If he can, the Chargers could be a real force in the West. If not, this is likely Mike McCoy’s last year as HC. The Chargers finished 29th in yards/play in 2015 and 30th in rush yards/play. That primarily falls at the feet of DC John Pagano and must improve in 2016. To do so, the Chargers spent heavily in FA money and draft picks but the questions still remain. On the defensive line, the Chargers jettisoned DE Kendall Reyes for 1st round pick Joey Bosa. Bosa was a surprise choice for San Diego as many saw him as a traditional 4-3 DE. However, in Pagano’s scheme, Bosa will likely be split out a bit wider than a traditional 3-4 DE and will use his excellent technique to win the individual battles. With Bosa out wider, stopping the running attack will fall a lot more on both DE Corey Liuget and the newly acquired NT Brandon Mebane from Seattle. Mebane will likely play more of a 1 technique than a true NT and use his penetration to beat the inevitable double teams he faces inside (reminiscent of the Wade Phillips scheme in Denver). The effectiveness of this strategy is the key for the 2016 Chargers run defense. At the LB spot, the Chargers are chock full of early round drafted talent that must produce. 2nd round picks Manti Te’o and Denzel Perryman man the inside of the Pagano 3-4 and must prove they can stay healthy as undersized ILBs. Josh Perry from Ohio State was drafted in the 4th round to fill the void if they cannot. Outside, the Chargers should be set with 1st rounder Melvin Ingram and 2nd rounder Jeremiah Attaochu bringing speed off the edge. But again injury concerns and little depth has this position with a big question mark. In the secondary, Brandon Flowers should rebound from an atrocious 2015 campaign where he got paid big bucks and came in overweight. To supplement, Casey Hayward was signed away from Green Bay and should be the #2 CB allowing Jason Verrett to man the nickel. At safety the loss of Eric Weddle is huge. In his stead they signed veteran Dwight Lowry to pair with SS Jahleel Addae. This unit will be decidedly lesser and will need help from the corners and the pass rush. Overall, the defensive outlook is very similar to that of the offense’s: highly drafted or FA talent with little depth behind it and injury concerns all over. Watching the development of Joey Bosa will be interesting but that could be the highlight of the Chargers in 2016 defensively. The Chargers are a team without a home. Putting the fans and the players through another year of stadium limbo is just cruel. Add to that a division of dynamic pass rushers and rising talent and it will be a tough year as they move to LA next season. After a big spending offseason, young emerging weapons on offense and the looming threat of moving back to LA, the 2015 Oakland Raiders were poised to have a breakout season. Through the first 8 weeks, the Raiders were 4-3 after an upset victory versus the NYJ and had many (including MMQB’s Peter King) believing in the Silver and Black. But the 2nd half of the schedule was a 3 game losing streak followed by a roller coaster of close wins and losses leading to a 7-9 finish. However, hope remains high heading into 2016 under Head Coach Jack Del Rio. The 2016 Raiders offense is now firmly in the hands of 3rd year QB Derek Carr. After a sophomore year of 32 TDs and just 13 INTs, Carr seems ready to step forward into the upper echelon of NFL signal callers, but will need to improve on his 3rd down efficiency and accuracy (61.1%). Behind him of the depth chart, the Raiders added Spartan QB Connor Cook as insurance in the 4th round. The running game will also need to improve in 2016 for the Raiders to ease above .500. Latavius Murray will again be the feature RB alongside FB Marcel Reece. Murray seemed to wear down as the season went on last year and will need solid support from 3rd down backs Roy Helu Jr and the draft choice DeAndre Washington. Washington could be a strong fantasy sleeper by mid-season as HC Del Rio could see visions of Maurice Jones-Drew in the diminutive back from Texas Tech. The Raiders will need to find more success in early downs to improve upon the run-to-pass balance as too often 2nd-and-long got this team behind the chains. At the skill positions, the first rounder Amari Cooper will continue to be the focus of the passing attack. His health and the continued success of Michael Crabtree as a complimentary piece are vital in 2016. The emergence of a true #3 WR is also a big need, be it Andre Holmes, Seth Roberts, UDFA KJ Brent or any of the other young players at wide receiver. Tight End is also a position in flux, with hopes pinned on the former 3rd round pick Clive Walford to finally be healthy and see his potential. Up front, the Raiders spent big once again on a free agent target. This time they snag Osmele away from the Ravens to add punch to the RG spot. With him, last year’s big money prize in C Rodney Hudson and G Gabe Jackson competing with 6th round choice Vadal Alexander, the Raiders should improve between the tackles. Outside, Donald Penn continues to be adequate at LT but Austin Howard will need to be better to justify the big money he received last year. Super sub Menelik Watson stands poised to fill either gap. Overall, the Raiders face a division of tough pass rushing defenses in Denver, San Diego and Kansas City. Their ability to run the ball enough in order keep the pressure off of Carr and find him solid outlets that result in more than checkdown 6 yard plays is crucial. The big money this offseason was spent of defense for the Raiders. Grabbing Bruce Irvin from Seattle, Reggie Nelson from Cincy and Sean Smith from division rival KC was huge. But more work will be needed to get this defense to a playoff level. The defensive line begins with All-Pro and superstar Khalil Mack. Whether lining up at DE or standing at OLB, Mack has become the glue for the Raiders pass rush. Unfortunately, the secondary and double teams limited Mack’s impact as the year went on. On the otherside of the line, Mario Edwards Jr was great early on, but a severe injury has not only his season but possibly his career in jeopardy. Jihad Ward, a brutish DE from Illinois, was drafted in round 2 to help with depth as was Michigan St DE Shilique Calhoun. The rest of the DL is comprised of run stuffers Dan Williams and Justin Ellis. At the LB spot, the speedy Bruce Irvin was added as another speed rusher off the edge with Mack (trying to imitate the Broncos pair of Von Miller and Demarcus Ware). Malcolm Smith is locked in at one inside LB but the other spot will be a competition between incumbent Ben Heeney and free agent Daren Bates. The Raiders could use some better run defense out of this group. The Achilles heel of the 2015 Raiders was its secondary and wholesale changes have been made. Sean Smith was stolen away from the Chiefs to man one corner and David Amerson was retained at the other. Travis Carrie and former 1st round pick DJ Hayden will compete for the nickel. At safety, Reggie Nelson was brought in from Cincinnati to play tough versus the run and be a veteran presence. Across from him is the explosive Karl Joseph, taken with the 14th pick in round 1. If he can fully recover from a knee injury, many believe he could be a true playmaker in the run and passing game. Overall on defense, the Raiders have added a ton of speed on defense. With the aggressive Ken Norton Jr calling the shots, Oakland could return to their defensive prowess from days of yore. While the Raiders will be greatly improved in 2016, this is prediction is really more of a result of the degradation of the other AFC West bunkmates. The depth on this team still worries me at many positions (RB, WR, LB, CB) but given health there is no reason the Raiders can’t be a playoff team.